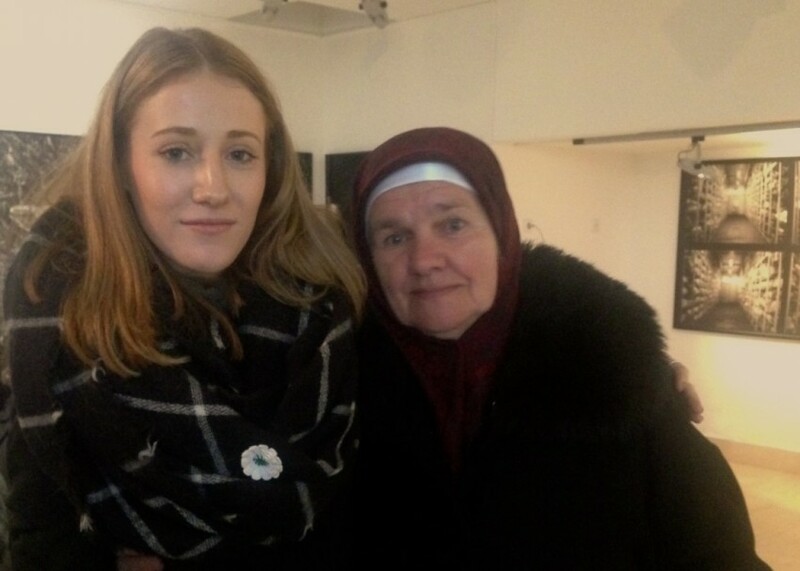 Student Izzie Shaw, from Shropshire, travelled to Srebrenica on our educational visits programme. Here she recounts her experiences as a delegate on the Lessons from Srebrenica programme. How often do you find yourself sitting through television adverts about poverty or natural disasters and international conflicts? How often do you hear the emotive recorded voice pleading with you to donate? And how often do you ignore it? Or even worse, switch the channel? The answer is far too often. Although it is difficult to admit, I am guilty of all of the above. Sitting comfortably in my sitting room at home, whether I’m in the Shropshire countryside by the fireplace, or under a blanket in my littered student house in Leeds – I feel helpless. I’m about a million miles away from the latest conflict and I have more important things to worry about. Unfortunately, that’s where I’ve been wrong for 19 years of my life. I was given an opportunity that has challenged my ignorant attitude. I was accepted to travel to Srebrenica to discover more about the 1995 genocide with Remembering Srebrenica as part of a documentary. The week gave me the opportunity to visit both Sarajevo and Srebrenica where I was able meet survivors of the genocide and be educated on the ongoing procedure of identifying the dead. I was fully exposed to the injustice of the Bosnian conflict and I discovered a lot about myself, the complacency of my generation and also some harsh truths about the world that we live in. On reflection, I also discovered one of the most shocking dualities of humanity – a ruthless attitude towards merciless killing, vs. the resilience of the innocent and their incredibly natural instinct to forgive. When meeting the Mothers of Srebrenica, they told us, through uncontrollable sobs of anguish, how alone they feel. There are perpetrators who have still not been condemned and there are Dutch soldiers who have been awarded medals of bravery to commemorate the massacre they failed to prevent. Surely each of these medals is an insult to the memory of the dead and mocks the inconceivable strength of the survivors? Travelling through Bosnia was harrowing in itself. The effects of the conflict are still painfully clear. It is a country scarred by the outbreak of war and almost every building in Sarajevo still bears its scars. Huge craters and bullet holes mark every wall, not only revealing the city’s devastation, but also as testament to the people of the city who stayed resilient. Srebrenica itself seemed to be a town that’s been utterly defeated. Some small family homes wore the same scars as those we saw on the sky blocks in Sarajevo, but interestingly these were rare. Instead, there were new builds standing proud on the land where so many innocent people were brutally murdered. Furthermore, I was shocked to discover that Srebrenica now stands as Serb territory and is assigned to the Republika Srpska. Disgustingly, the town stands as a victory for ethnic cleansing. Most distressing of all was our trip to the International Commission on Missing Persons (ICMP). Using DNA technology, the ICMP set out to identify the scattered remains of the victims buried in various mass graves around Bosnia. By extracting DNA from bone samples, the ICMP match these with blood samples taken from the surviving relatives. It’s a very precise and strenuous procedure. Now 20 years on, some of the mothers that we met are still waiting for news on the identification of their family members. It was at the ICMP that we were shown an album of the clothing found at the scene of execution. There was Converse trainers…Adidas hoodie. it was then that it struck me that this only happened 20 years ago. Why did I hardly know anything about it? Why is Srebrenica left undiscovered for the majority of my generation? The footage we were shown of the genocide was all in colour, not black and white. It should not be disregarded as a piece of history – it is more current than ever before. Hatred, discrimination and intolerance is happening somewhere in the world right now and nobody is prepared for what could emerge from it. None of the people that I met were. None of the 8,000 innocent victims were either. What was most inspiring about the trip was the people’s ability to turn their anger and sadness into strength and forgiveness. On our visit to Tarik Samarah’s gallery he told us that ‘if you allow yourself to hate, this is your weakness, and I refuse to be weak’. These people have lost everything and at one time, were viciously attacked with hatred. Yet, they advocate love and forgiveness. Bosnia may be making slow progress in giving justice to those still alive, those dead and those still missing but by taking some of their pain and making it my own, I hope to raise the awareness that Srebrenica deserves. The world needs to discover the horrors of Srebrenica, so that I can take the trembling hands of the broken mother I met, and honestly tell her that we are united, that she is not alone, and that this will never happen again, not here – not anywhere.